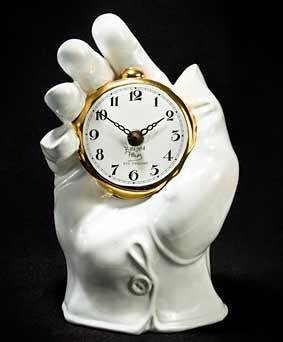 Time in hand - 9½" (241 mm) high. 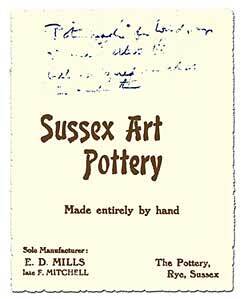 This is probably Leo's most creative piece; although all his work shows humour, surrealism, imagination and individuality this one really shows off his pottery skills. Everything you see is ceramic except the hands of the clock.